Every time I go back to London, I return to America with my pores exhaling curry, cumin, and other spices found in Indian food. London has a large Indian population and with that comes the best Indian food outside of India. 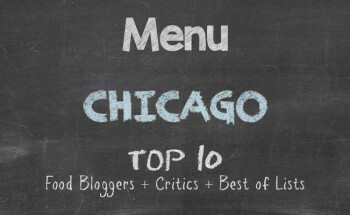 Chicago doesn’t fall too far behind in having a plethora of restaurants representative of the flavours of India. I exude curry since I am constantly in any one of the Indian cafes on Devon Street. If you are a diligent foodist like me, you will manage to discover some fooderies that are not on any main stretch or within sniffing distance. For example, with traffic being incredibly congested in a section of the North Side — in Edgewater to be exact — I had to snake my way down a side street to avoid sitting still. 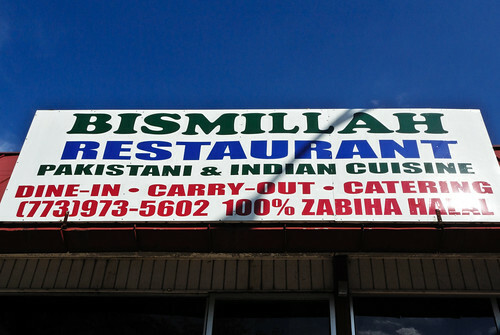 And what to my surprise should I spy at 6301 N. Ridge Avenue but a hole-in-the-wall by the name of Bismillah. It had to have been serendipity because I was listening to “Bohemian Rhapsody” by Queen at the very same time I spotted the restaurant. Imagine that. In true hole-in-the-wall fashion, Bismillah will not win any awards for interior decoration. And if you go to the restaurant for aesthetics, you may be too caught up in cosmetics to enjoy the good food that Bismillah serves. While at the counter, I scanned the one menu that was available and placed my order. I was not going to waste my time playing like a curious eater while fighting the temptation to jump behind the counter and start attacking the tasty food that I could see being cooked in the open kitchen. I ordered two vegetable samosas and chicken boti. The two fist-size samosas came with a mint sauce. 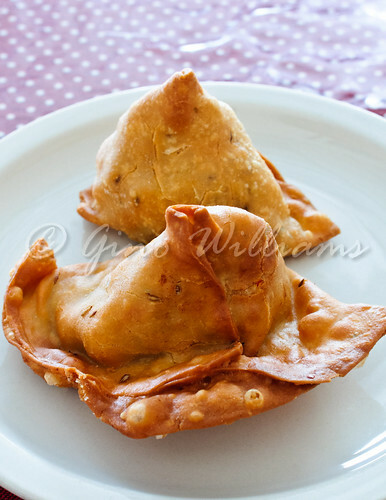 I mashed up the samosa, poured a nice amount of the mint sauce on them, and handled my business. I smiled. 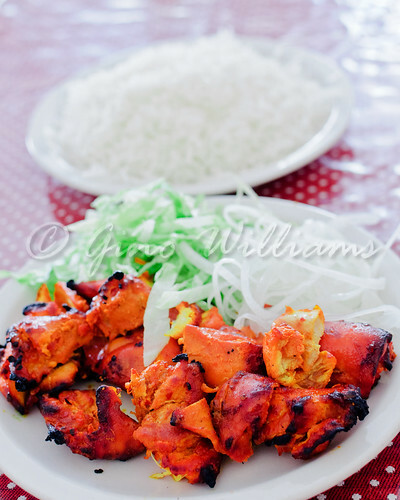 When the skewered, boneless pieces of chicken that looked and tasted like tandoori chicken arrived at the table with basmati rice and a small salad, I was then ready for devouring my main dish. The chicken popped with each bite, an explosion of flavour, a revelation of having something several notches past delectable. It was so good that I exclaimed, “In the name of God,” or bismillah for those in the know. If I continue to eat at all these ethnic eateries, I will become fluent in more than the short list of languages that I speak. When I was done, I had a chai in the traditional manner of an after-supper drink.